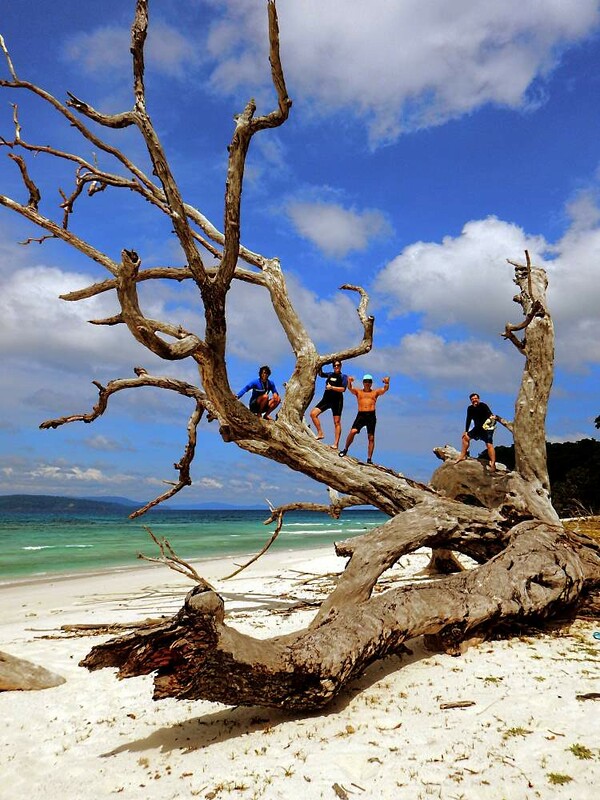 After a short, overnight steam southward, Silver Discoverer anchored in the isolated waters of the Cinque Islands which lie just below the long sliver of land that makes up Great Andaman, the largest island in the group. The whole group had received a devastating deluge from the 2004 Boxing Day tsunami, so just what effect that had underwater remained to be seen. Today is the day of our first scuba dive and we meet local dive guides in preparation for our underwater début in these remote waters. 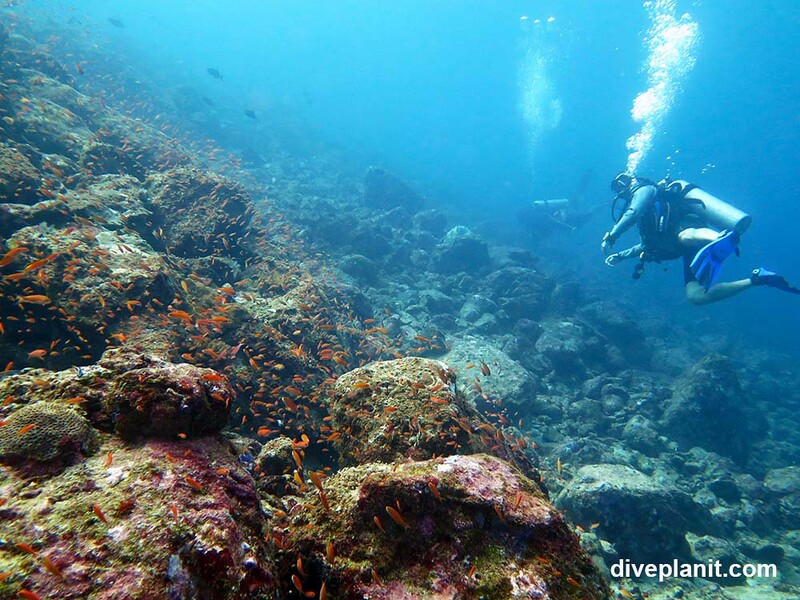 We'd learned much about the marine species in this region from lectures given by Patrick our divemaster who also is a keen student of marine biology. Our first location was called 'Cinque Hole' which was something of a misnomer as it was largely a rocky slope strewn with boulders and rubble extending down to a sandy floor at about 30m. Visibility was reasonable at around 20m, water was warm at 29 degrees with a gentle surge and current. Immediately apparent was masses of red anthias, little reef fish about the size and colour of the gold fish in your bowl at home. The rocks created plenty of hidey-holes for wrasse and cod, although the ones we saw were few and small. 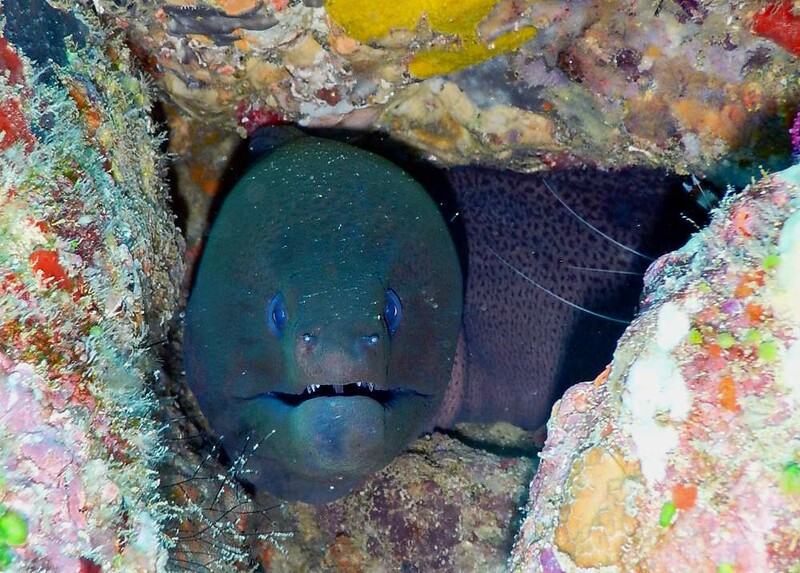 Moray eels love these nooks too, and several were seen poking their scary-looking snouts out. In between dives we went ashore for a short stroll at the site of a former guest house, long since swept away by the great wave, leaving stark concrete foundations as a testament to the power of the Earth and the ocean working in cataclysmic unison. The understory of the rainforest was totally swept away, leaving behind a ghostly forest of old, buttressed trees standing stark just off the beach. That same wave had cut a swathe across the islands, separating them forever. Elsewhere, Malcom our Kiwi bird guide, was taking guests in search of endemic pigeons, parakeets and kingfishers, as well as the majestic white-bellied sea eagle. Our next dive, just off the beach, was once called 'staghorn garden'. 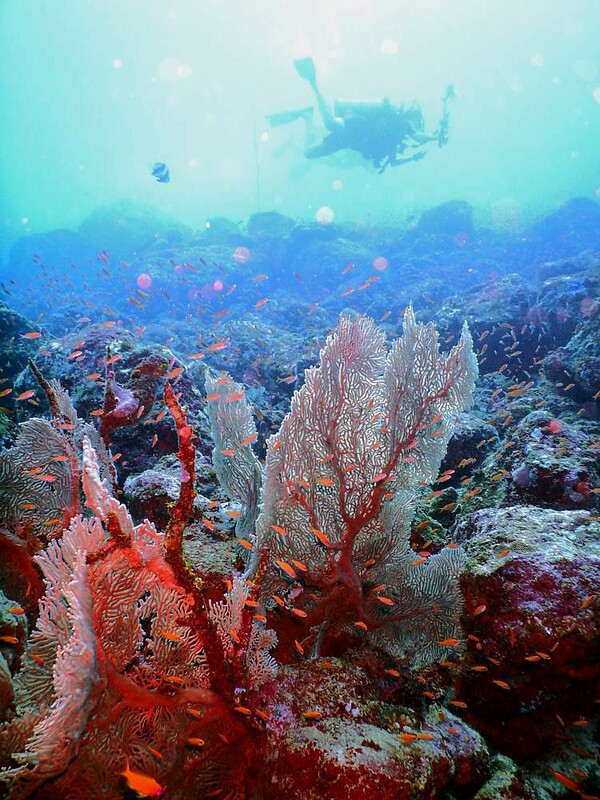 Our dive guide's face dropped as he recalled the resplendent coral groves that once flourished in the shallow waters. Now, as we discovered, the sea floor is littered with the skeletal remains of countless millions of these organisms in between dense ancient coral bommies that easily resisted the destructive wave. Nevertheless, life is quickly returning to the waters and we found coral branches slowly regenerating and attracting the tiny damsels, gobies and surgeons who love to inhabit them. A sad sight certainly, but such is the will of nature.